PyData Warsaw is an annual conference experiencing similar popularity growth. If we take the conference and meetups with the same event name of „PyData”, we can consider the group as one of the most important AI and ML places to meet in Poland. It is worth considering that the PyData Warsaw conference is only a part of the bigger PyData society worldwide. Similar events take place in London, Belgium, France, Germany, and outside Europe - Mexico, USA etc. That fact makes the attendees feel like a part of a wider group of Machine Learning enthusiasts. I mentioned before that the ML world is experiencing a renaissance. So why is PyData so special? The numbers speak for themselves. Attracting over 500 participants was the best result of the conference ever. This is over 100 people more than last year. Content is always the core of conference. The statistics are exciting: there were over 50 talks organized this year. What is even more impressive, there were about 100 call for papers registered. That shows that the interest in the conference is huge, both from speakers and attendees. We’d like to congratulate the great team submission reviewers. They did a great job of reviewing all the submissions and selecting the most valuable ones. 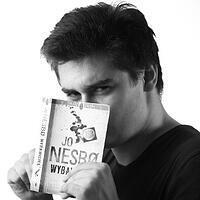 The team was made up of 8 people, including Mateusz Opala, Machine Learning Team Leader in Netguru. More about content and organization - over 50 talks require great management. The event took place in the conference hall of the Copernicus Science Centre in Warsaw. The talks were held in three separate tracks on three stages, so attendees could easily choose the topics they found the most interesting. The PyData society gathers people from around the world. It was possible to meet attendees of other PyData conferences. I consider that as another great chance to spread your knowledge and experience and make new contacts. The conference is a special time for Netguru, too. As a company involved in Machine Learning topics, we would like to be close to the community, sharing and receiving good content and networking people. That is why we appeared there as a sponsor.Secondly, Mateusz Opala, our Machine Learning Team Leader, is involved in PyData management personally as a reviewer of submitted talks. His experience helps select the best quality topics for the conference. The conference’s agenda included Netgural’s presentations. Both took place on Monday 19th at 12:35 as a part of tracks 1 and 3..The first one was called “Can you trust neural networks?” and was given by Mateusz Opala. He explained why neural networks are hard to debug and why it’s so difficult to predict the results before the evaluation process. Then, the Shapley Additive Explanations methods were introduced, both in theory and practice - as a Python framework usage example.The second talk presented by a Netguru employee was “Overview of imbalanced data prediction methods” by Robert Kostrzewski. The key element of the presentation was a case study related to imbalanced datasets and explanation of a few less popular methods of handling disproportions in data. Relevant algorithms were explained in theory and compared to other ones using metrics. Adam Paszke gave a talk about a Machine Learning framework called PyTorch. There is a new stable version 1.0 incoming. Adam presented the new features, hopes and expectations related to one of the most famous Python AI tools. Step by step face swap by Sylwester Brzęczkowski was an impressive, interactive presentation with a live demo of a face swapping application using OpenCV. I would love to attend the PyData conference next year. I recommend that event both for experienced ML engineers and rookies interested in new ideas and concepts. See you next year!